The “African Humid Period” or “Green Sahara” was a time between 11,000 and 4,000 years ago when significantly more rain fell across the northern two-thirds of Africa than it does today. These conditions stand in marked contrast to the current climate of northern Africa. Today, the Sahara is the largest hot desert in the world. It lies in the subtropical latitudes dominated by high-pressure ridges, where the atmospheric pressure at the Earth’s surface is greater than the surrounding environment. These ridges inhibit the flow of moist air inland. But this period ended erratically. In some areas of northern Africa, the transition from wet to dry conditions occurred slowly; in others, it seems to have happened abruptly. This pattern does not conform to expectations of changing orbital conditions since such changes are slow and linear. The most commonly accepted theory about this shift holds that devegetation of the landscape meant that more light reflected off the ground surface (a process known as albedo), helping to create the high-pressure ridge that dominates today’s Sahara. Scrub vegetation dominates the modern Saharan and Mediterranean ecosystems today and has significantly more albedo effects than grasslands. But well-tested comparisons abound in prehistoric and historic records from across the world. Early Neolithic farmers of northern Europe, China, and southwestern Asia are documented as significantly deforesting their environments. In the case of East Asia, nomadic herders are believed to have intensively grazed the landscape 6,000 years ago to the point of reducing evapo-transpiration – the process which allows clouds to form – from the grasslands, which weakened monsoon rainfall. Their burning and land clearance practices were so unprecedented that they triggered significant alterations to the relationship between the land and the atmosphere that were measurable within hundreds of years of their introduction. 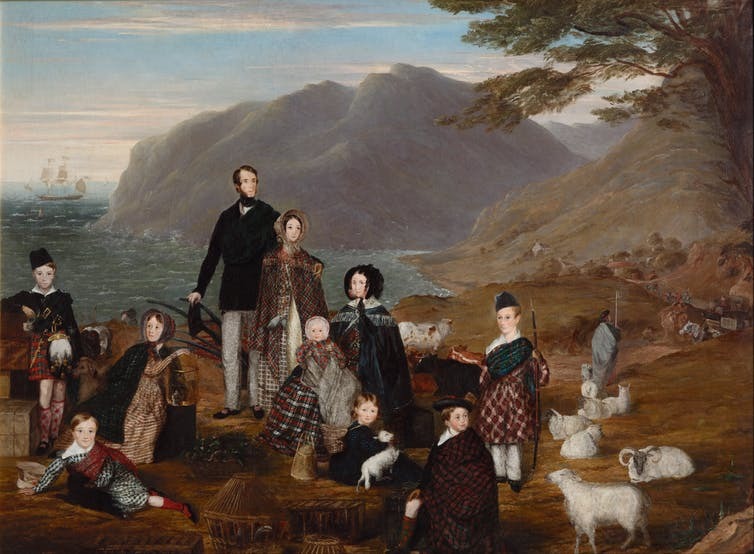 New Zealand’s colonial pastoralists transformed the country’s landscape. So what made the difference in the Sahara? A theory called the “ecology of fear” may contribute something to this discussion. Ecologists recognize that the behavior of predatory animals toward their prey has a significant impact on landscape processes. For example, deer will avoid spending significant time in open landscapes because it makes them easy targets for predators (including humans). If you remove the threat of predation, the prey behaves differently. In Yellowstone National Park, the absence of predators is argued to have changed grazers’ habits. Prey felt more comfortable grazing alongside the exposed riverbanks, which increased the erosion in those areas. The re-introduction of wolves into the ecosystem completely shifted this dynamic and forests regenerated within several years. By altering the “fear-based ecology”, significant changes in landscape processes are known to follow. The introduction of livestock to the Sahara may have had a similar effect. Landscape burning has a deep history in the few places in which it has been tested in the Sahara. But the primary difference between pre-Neolithic and post-Neolithic burning is that the ecology of fear was altered. Most grazing animals will avoid landscapes that have been burned, not only because the food resources there are relatively low, but also because of exposure to predators. Scorched landscapes present high risks and low rewards. More than 35% of the world’s population lives in dryland ecosystems, and these landscapes must be carefully managed if they are to sustain human life. The end of the African Humid Period is a lesson for modern societies living on drylands: if you strip the vegetation, you alter the land-atmosphere dynamics, and rainfall is likely to diminish. This is precisely what the historical records of rainfall and vegetation in the south-western desert of the United States demonstrates, though the precise causes remain speculative. In the meantime, we must balance economic development against environmental stewardship. Historical ecology teaches us that when an ecological threshold is crossed, we cannot go back. There are no second chances, so the long-term viability of 35% of humanity rests on maintaining the landscapes where they live. Otherwise, we may be creating more Sahara Deserts, all around the world. As the European Union celebrates 60 years, can Asia use it as a model for economic integration?